February 20, 2019. Good News! 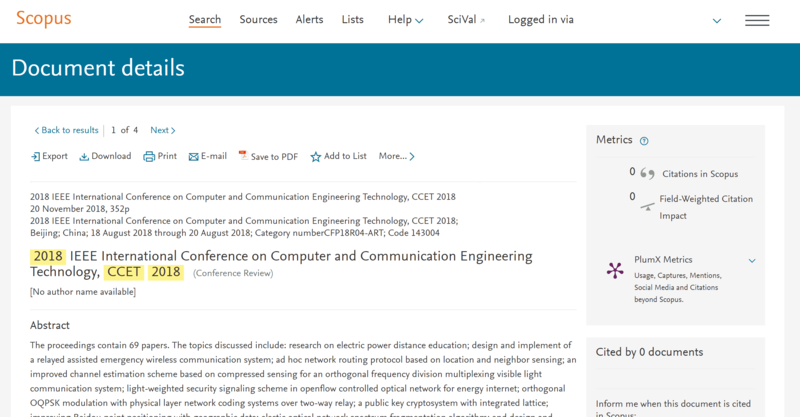 CCET2018 conference proceedings has been indexed by EI Compendex and Scopus. November 19, 2018. 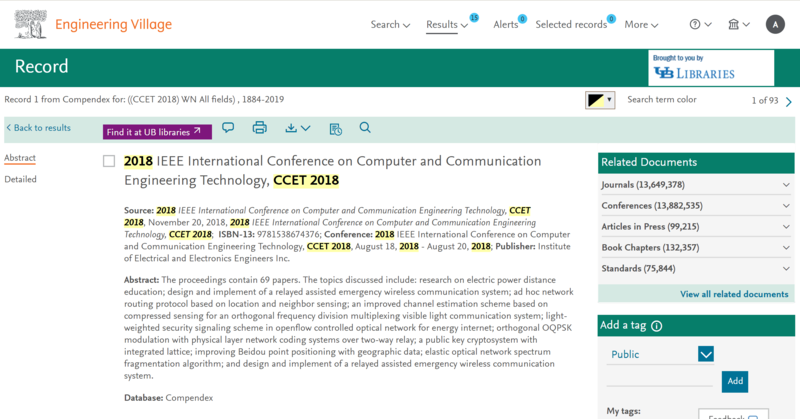 We are pleased to announce that 2019 2nd IEEE International Conference on Computer and Communication Engineering Technology (CCET 2019) will be held in North China University of Technology (NCUT) again during August 16-18, 2019. We welcome your participation! Jan. 9, 2018. Welcome Prof. Dr. Xu Huang from University of Canberra, Australia to attend CCET2018 conference and deliver the Keynote Speech and the speech is on Neuroimaging Conjunction with Machine Learning for Applications of fNIRS for Human Pain. Fore more information, please click here. Dec. 1, 2017. 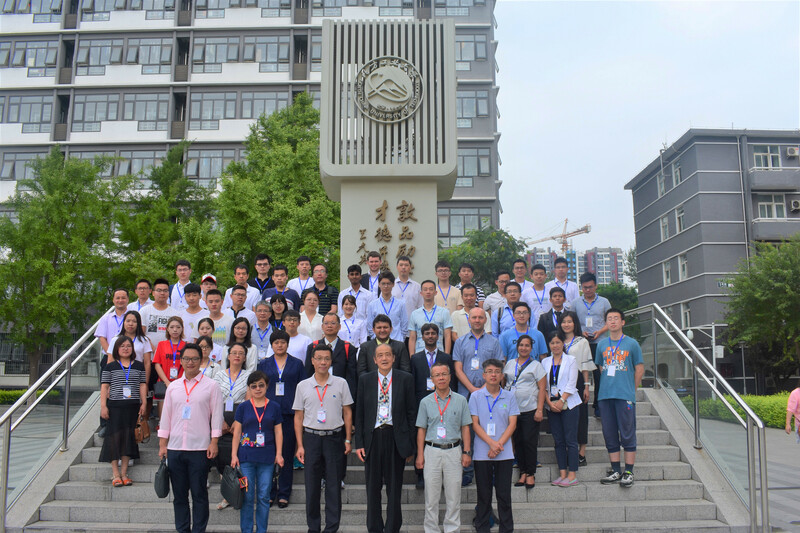 CCET 2018 will be held in North China University of Technology (NCUT) during August 18-20, 2018. CCET2018 将于2018年8月18-20日在北方工业大学举办.